In 750, Archbishop Boniface anointed the upstart Frankish King Pepin in Soisson. A Saxon in his 70s, he could have had influenced Frankish politics, or he could have retired to a monastery. Instead, a few years later, he embarked on a mission to preach to the Frisians, a mission that cost him his life. That’s the striking thing about Saint Boniface. He could have had an easy life, by early medieval standards, but again and again, he repeatedly gave up power and the privileges that went with it to pursue his missionary work. Details about Boniface’s early life are sketchy. He is believed to have been born to a noble family in Saxon kingdom of Wessex in the 670s–his date of birth is unclear. He was called Winfrid until he took the Latinized version of his name, either when he joined the Benedictine order or when he was consecrated bishop in 722. Although he received a religious education, his parents intended for their son to have a secular life. But missionary monks visited his family’s home, and they must have made quite an impression on him. Did what they say about the pagans in Saxony cause him to worry that thousands of fellow Saxons faced eternity in hell? He could have basked in the praise of his scholarship and preaching, but that’s not what he wanted. He wanted to preach to the Continental Saxons, pagans who lived in today’s Germany and might have practiced human sacrifice as a thanksgiving after a first battle. At this point, he was probably in his late 30s or early 40s. He made a foray into Frisia but found the political situation too unstable and returned to Britain. About a year later, toward the end of 717, the abbot of Nhutscelle died and the monks elected Boniface the abbot. Abbots often had political influence, and although the abbot at Nhutscelle chose an austere lifestyle, many lived as aristocrats. Boniface rejected the abbacy and instead convinced the bishop of Winchester to have the monks elect someone else. He then traveled to Rome to receive the pope’s blessing for his mission. When the pope determined Boniface had the right morals and motivation, he sent him to lands in today’s Germany. What Boniface found was that officially Christian countries had lapsed, often following a mix of Christianity and paganism. With the exception of a couple of visits to Rome, he spent the next decade preaching, converting pagans to Christianity, founding monasteries, and appointing abbesses. Some of his tactics will bother a tolerant 21st century audience. He felled a sacred tree and made a chapel from its wood, and he destroyed an idol. His stature and mission continued to grow. In 732, he was elevated to archbishop and continued to found monasteries and build churches and institute reforms. He wanted to resign his archbishopric in 738 and return to mission work, but the pope would not let him. For many years, he held synods, enforced canons, trained monks, and led prayers and meditation. In 753 or 754, he resigned the archbishopric of Mainz and went to Frisia with his followers. He surely knew that it was not safe. Having lived longer than most medieval folk, perhaps he no longer feared death. During a confirmation on the River Bornes in 754, his party was attacked by pagans. His body was found near a bloodstained copy of Saint Ambrose’s The Advantage of Death. His body was eventually taken to Fulda, whose establishment he had supervised, and his canonization soon followed. More than 20 years later, the monks at Fulda went to great lengths to protect his relics. This post was originally published May 12, 2013, on English Historical Fiction Authors. 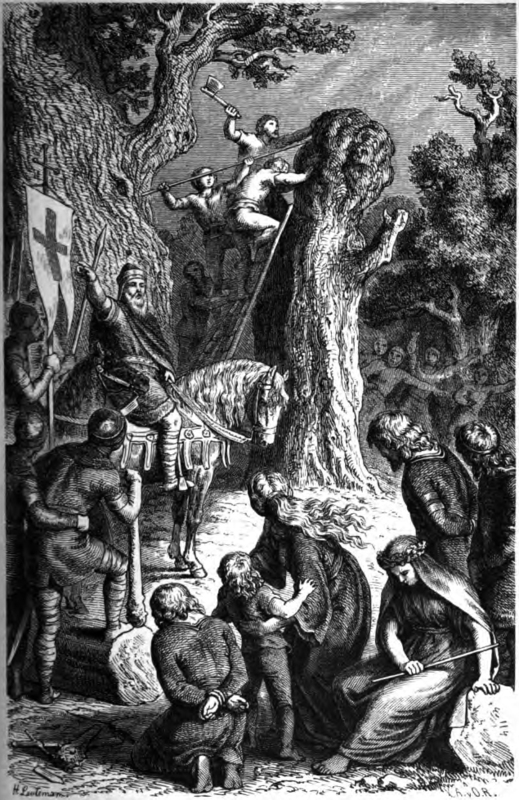 St. Boniface would have never wanted the dispute that followed his martyrdom in 754. Two of his disciples, Sts. Lull and Sturm, wanted his remains. The stakes were high. Martyr’s relics were attributed with miraculous powers, and churches that housed them attracted pilgrims and their alms. Lull, the Wessex-born archbishop of Mainz, and Sturm, the Bavarian-born founding abbot of Fulda (who makes a brief appearance in The Ashes of Heaven’s Pillar), had been close to the martyr. Sturm and Boniface had met in Bavaria when Sturm was a boy. With his parents’ permission, Sturm traveled with Boniface to Fritzlar, where he was left in the care of that abbot and became a priest in the 730s. At Boniface’s urging, Sturm spent nine years in the wilderness, seeking the perfect site for a new monastery. Boniface then persuaded the Frankish mayor of the palace to donate the land and blessed the site for Fulda in 744. Lull had met Boniface, also a native of Wessex, in the 730s while Lull was on a pilgrimage to Rome. Lull had been a monk at Malmesbury but was persuaded to join the monastery at Fritzlar, which Boniface had founded. Boniface must have been impressed with Lull, who rose through the clerical ranks. He was a deacon in 745, priest in 751, and bishop in 752. Boniface chose Lull as his successor as the archbishop of Mainz. Boniface went out of his way for Lull to be accepted and even wrote to Fulrad, the influential abbot of St. Dennis, to convince Pepin to look favorably on Lull’s new position. Boniface left the safety of Mainz for the dangerous mission to Frisia, where pagans slaughtered him and his companions. If we are to believe Eigil, Sturm’s hagiographer, Boniface weighed in a couple of times on where his body should rest. As always, I leave to the reader to decide the veracity. The 11th century Sacramentary of Fulda shows Boniface baptizing converts and being martyred. When Boniface and his slain followers were taken to Utrecht, the companions’ bodies were buried, but the locals were unable to lift Boniface’s bier. They took that as a sign to send the martyr elsewhere. Once they made that realization, the body was easily moved and loaded onto a boat that went to Mainz. At Mainz, Lull claimed the relics for his city, but Sturm had rushed there and argued that Boniface had said during his life that he wanted to be entombed at Fulda. The two places were very different. At the time, Mainz was almost 800 years old, dating back to the Romans. Fulda was only 10 years old, founded in the middle of nowhere. Boniface again stepped in. Appearing in a deacon’s dream, he asked why his journey to Fulda was delayed. Lull refused to believe it until the deacon swore on the altar. So Boniface was taken to Fulda, and the monastery thrived. Lull gave up the fight on the relics, but he retaliated. Three of his supporters told Frankish King Pepin that Sturm was disloyal. The abbot of Fulda didn’t defend himself, saying he would put his trust in God. Sturm and some companions were exiled for two years to the abbey of Jumièges and treated well, but the monks at Fulda were unhappy, especially with their abbey now under Lull’s jurisdiction. When they rejected the abbot he appointed, the archbishop conceded and let them choose one of their own. They did so with the sole purpose of bringing Sturm home. Soon monks, along with nuns at convents and the faithful at other churches, were praying. The prayers worked. Pepin summoned Sturm and said he had forgotten what they were quarreling over. When Sturm affirmed his loyalty, he returned to Fulda, which was no longer under Lull’s authority, and oversaw construction and decorated Boniface’s tomb. The relics were the monastery’s greatest treasure. They were so valued that when the monks feared an attack from pagan Saxons in 778, they removed the relics and fled to the forest. After three days in tents, they got word that the locals had fended off the attack and it was safe to return. 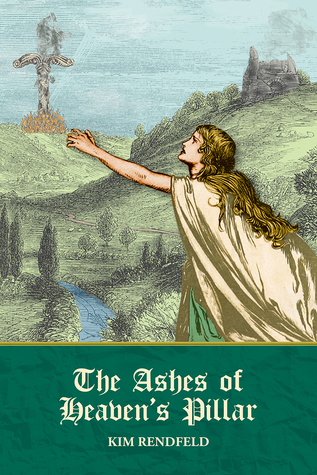 This post was first published at English Historical Fiction Authors in 2014. Public domain images are via Wikimedia Commons. When Charlemagne decided to invade Saxony in 772, he took spiritual warriors in addition to those guys with the spears and swords. Whether St. Sturm, the abbot of Fulda, was with Charles during those battles is not clear, but the king of the Franks put him in charge of the Christian mission in a large part of the conquered territory. Charles’s wars against Saxony were different than those his ancestors had fought. It was the first time religion was part of the conflict. Perhaps, Charles wanted to protect Church interests. Perhaps he thought Saxons were more likely to keep their oaths if they put their souls on the line. Treaties were secured with vows that invoked deities. To Charles, only one was valid. Whatever his reasons, Charles put his trust in Sturm, who had been a priest for about 40 years. He had grown up near Saxon territory in the monastery at Fritzlar, where he was an eager student. With the exception of a trip to Rome and two years in exile, he had lived in the region most of his life and had advised Charles on his relationship with the king’s first cousin Tassilo, the duke of Sturm’s native Bavaria. The most influential person in Sturm’s life was St. Boniface, who had also tried to covert pagan peoples. At Boniface’s urging, Sturm and two companions spent nine years in forested wilderness seeking a suitable spot to start a new monastery. Medieval folk depended on the forest for survival, but it was also the home of predators, both beasts and evil spirits. Boniface, then the archbishop of Mainz, had rejected their first choice, which Sturm’s hagiographer, Eigil, described as “a wild and uninhabited spot and [they] could see nothing except earth and sky and enormous trees.” The reason, ironically, was it was too close to pagan Saxons to be safe. So Sturm tried again, and he finally found the right place on the Fulda River. His contemporaries probably saw it as the middle of nowhere. However, Boniface believed God had picked the place and successfully appealed to Frankish Mayor of the Palace Carloman to donate the land. Boniface later visited the site to give it his blessing. The year was 744, when the Franks, under the rule of Carloman and his brother Pepin, were at war with the Saxons. Again. Despite the battles in Saxony, some of which involved Carloman and Pepin’s troublesome half-brother Grifo, the monastery at Fulda thrived, and Sturm visited Rome to better learned the Benedictine way of life. An 11th century image of St. Boniface baptizing converts and being martyred. In 754, Boniface was martyred while trying to convert pagans in Frisia, and his body was taken back to Francia. That was the beginning of Sturm’s political troubles. When the relics reached Mainz, its archbishop, St. Lull, also a disciple of Boniface, wanted the martyr’s body to remain in his city. Sturm insisted that Boniface be taken to Fulda, a wish his mentor had expressed while still alive. 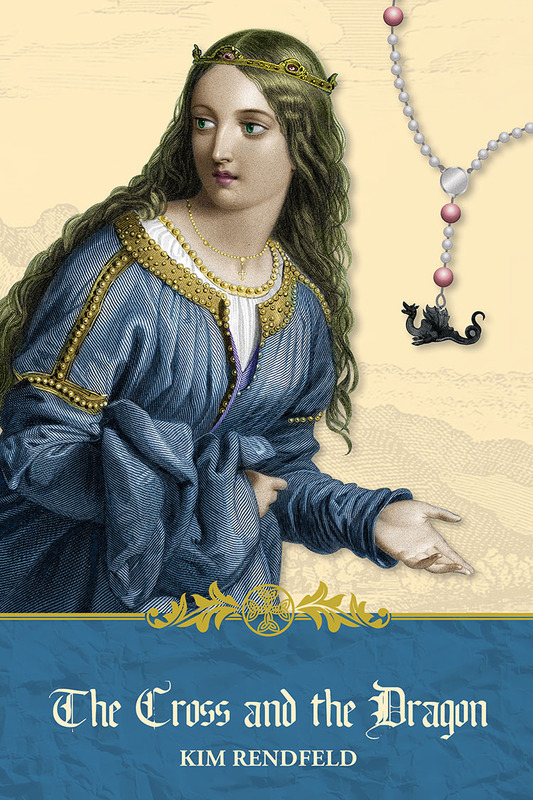 Martyr’s relics were treasured in the Middle Ages, and they were attributed with miraculous powers. Pilgrims would flock to those relics, which meant alms for the church housing them. According to Eigil, Boniface himself weighed in by appearing to a deacon in a dream and asking why he wasn’t being taken to Fulda. Lull was not convinced until the deacon swore at the altar. The relics went to Fulda, but Lull retaliated in a distinctly medieval way. Lull accused Sturm of disloyalty to Pepin, now king and sole ruler of Francia. Sturm made no effort to defend himself and placed his trust in God. Believing the accusers, Pepin sent Sturm and some companions to the Abbey of Jumièges, where they were treated well. In the meantime, Lull had managed to get Fulda placed under his jurisdiction and appointed a new abbot, but the monks at Fulda refused to accept the bishop’s puppet. So Lull caved and let them elect one of their own. They choose a monk whom Sturm had mentored and, along with nuns in convents and the faithful at other churches, prayed for Sturm to be restored to Fulda. The prayers worked. Pepin sent for Sturm and in a chapel told him he had forgotten what they were quarreling over. Sturm replied he wasn’t perfect but has never committed any crime against Pepin. To signify the reconciliation, the king pulled a thread from his own cloak and let it fall to the floor. So Sturm went back to Fulda, and the monastery would claim Pepin as its sole protector, making it independent of Mainz. When Pepin died in 768, he split the kingdom between sons Charles and Carloman (the Franks were fond of recycling names). Seeking divine favor and earthly alliances, Charles gave donations to Fulda. He also made Sturm an emissary between him and the duke of Bavaria. Eigil says Sturm established friendly relations between the royal cousins for several years. Well, not exactly. In fairness to Sturm, even the most gifted diplomat would have difficulty with those two. Relations might have been good while Charles was married to a Lombard princess, the sister of Tassilo’s influential wife. When he assumed sole rule of Francia, Charles divorced the Lombard after only a year and then overthrew his ex-father-in-law. The duchess of Bavaria never forgave the Frankish king. Sturm had other affairs to deal with when Charles invaded Saxony four years into his reign and destroyed the Irminsul, a pillar sacred to the Saxon peoples, the same way Boniface had felled a tree sacred to pagans. The message: My God is stronger than those devils you worship. Sturm embraced his new mission. He preached to the Saxon converts and exhorted them to destroy pagan groves and temples and build churches instead. But as soon as Charles was occupied elsewhere, pagan Saxons attacked Christian sites. Then Charles would send Frankish warriors to put down the rebellion. This cycle would repeat itself for decades. While Charles was in Spain in 778, the Saxons devastated Christian holdings and killed indiscriminately all the way to the Rhine. When Charles got word, he sent soldiers to put down the rebellion, and the Saxons retreated. But the monks at Fulda feared an attack and fled with Boniface’s relics. They spent three days in tents in the forest until they learned that the locals had fended the Saxons off. Charles still wanted Sturm to lead the Christian mission, but the aged man was ill. The king assigned the royal physician to attend to him. One day, the physician gave Sturm a potion to make him feel better, but the patient got worse and realized he was going to die. He asked his brothers for forgiveness and in turn forgave those who wronged him, including Lull. Sturm died Dec. 17, 779. The monks had no doubt that Sturm was going to heaven and would have a special relationship with God. This post was orginally published Nov. 12, 2014, at Historical Fiction Research. Alcuin of York wanted the Christian mission in pagan Saxony to succeed, but in the 790s, he was deeply troubled by how it was carried out. Letters from the Northumbrian scholar who led Charlemagne’s Palace School might be as close as we get to the Continental Saxons’ side of the decades of bitter wars. The Saxons themselves had no written language as we know it, and the Church, aided by King Charles (Charlemagne), did whatever it could to obliterate a religion it equated with devil worship. The year before, emissaries of an Avarian governor came to Saxony, where the Franks were at war again, and promised to submit to Charles and accept baptism. It’s not too much of a stretch to think that Charles and his magnates talked about spreading Christianity to the Avars, whom the Franks had fought off and on since 788. Perhaps, Arno was already a candidate to lead the spiritual mission. In 796, the Franks had a major victory over the Avars. With Avarian leaders killed in internecine conflict, the Franks broke into a stronghold and took its riches, probably centuries of plunder. The Avarian governor, identified only as the tudun, and his companions accepted baptism. Was Alcuin trying to prevent repeating the mistakes made with the Saxons in addition to changing the Christian mission there? Again and again that year, Alcuin pleaded for a different, gentler approach to spreading Christianity, even taking his message to King Charles. He pointed out the apostles did not exact tithes from the newly converted and said it was better to lose the wealth than the soul. Alcuin himself was well educated. Born around 735, he had directed the school at York for 15 years before joining Charles’s court. “Alcuin” by James Burns, The Catholic Encyclopedia (1907). Retrieved from New Advent. “Salzburg” by Cölestin Wolfsgrüber, The Catholic Encyclopedia (1912). Retrieved from New Advent. This post was originally published Sept. 23, 2014, at English Historical Fiction Authors. Whether it was originally a pagan poem with Christian elements or vice versa, the “Nine Herbs Charm” reveals clues about Saxon culture before Christianity, something a novelist needs when portraying the lost pagan religion of the eighth-century Continental Saxons conquered by Charlemagne. I turned to Anglo-Saxon and other Teutonic cultures to get an approximation of my characters’ beliefs. The “Nine Herbs Charms” shows how the art of healing was closely tied to religion. Herbs have medicinal properties, but healers would also invoke the divine. Calling on supernatural forces would remain after Christianity was accepted, but the faithful would call it white magic and say it had nothing to do with paganism. The healer would grind the herbs into a powder, then make a paste with soap, apple juice or apple pulp, and ashes and use it as a salve on a wound while reciting the charm. 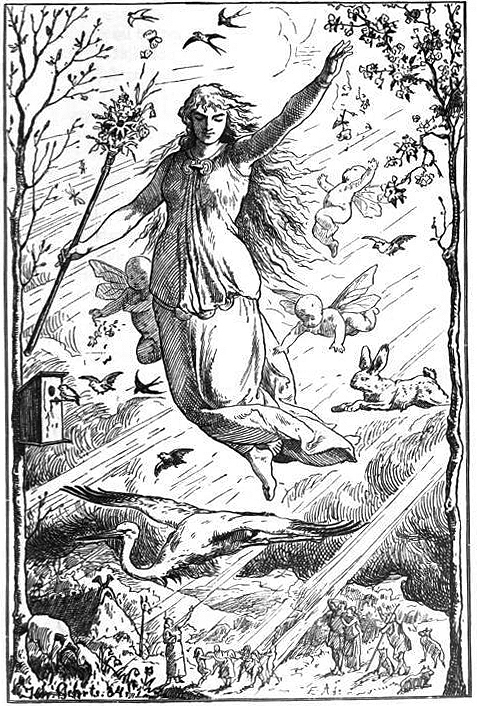 The herbs – mugwort, plantain (called way-broad in poem), hairy bittercress (stune in the poem), attorlothe (fumitory), chamomile (which may or may not be the chamomile we know), nettle (stinging or dead white), crab apple, chervil, and fennel – might have some medicinal qualities. But when you read the poem, you get the feeling that the belief is based on the characteristics of the plants. The herbs have their own personalities and are addressed as “you” and “she.” Mugwort, “the oldest of herbs,” is strong. 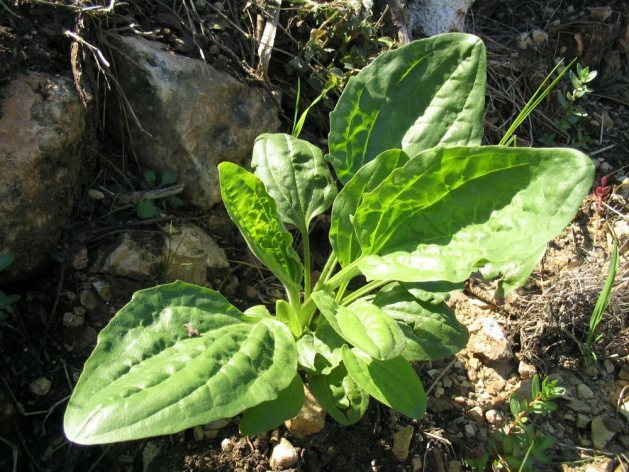 Plantain, the “mother of herbs,” has withstood trampling. Lamb’s cress or hairy bittercress grows from rock. 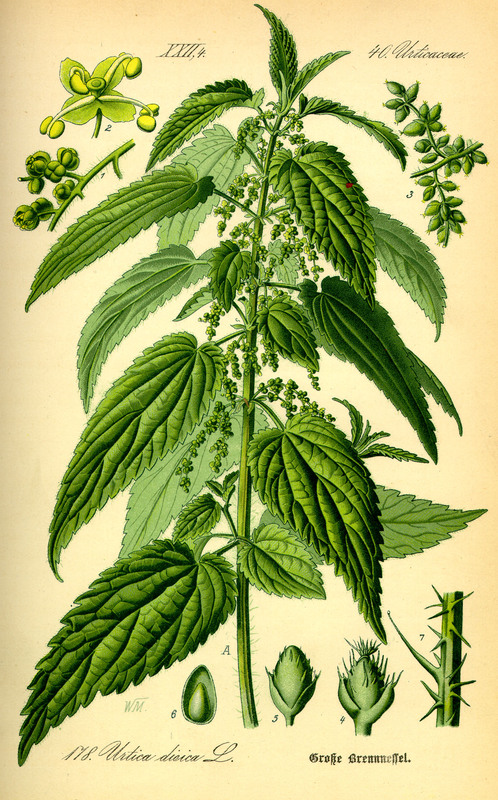 Nettle is harsh, as anyone who has been stung by one will attest. The plants will use these traits to fight poison and infection. You almost get the feeling these herbs are warriors about to do battle. This post was originally published Dec. 22, 2014, on English Historical Fiction Authors. Giveaway ends December 02, 2016. The Franks and Continental Saxons had been battling each other for a long, long time, but the war of 772 was different. It was a fight both for territory and for souls. It was also Charlemagne’s first war in Saxony. He was merely King Charles then and relatively new to the throne. He and his brother, Carloman, each inherited half the kingdom four years earlier, when his dying father split the realm. After Carloman’s death in December 771, Charles seized his late brother’s lands, assuming sole rule of Francia. When he decided to invade Saxony, Charles was no stranger to war. He was age 24 and had ruled some Frankish territory for less than a year. The reason for the attack on Eresburg is open to speculation. Perhaps, the Saxons had stopped paying yearly tribute won from the previous war 14 years ago, while Pepin and then Charles were distracted with the wars in Aquitaine. Charles might have thought to let such insolence go unanswered would weaken him. Perhaps, Charles was trying to protect Church interests in pagan lands, or he saw the Saxons as a threat with the fortress of Eresburg so close to the Frankish border. The Frankish annals don’t give us a play by play of the battles, and the Continental Saxons didn’t have a written language as we know it. However, Charles’s army marched to Eresburg after an assembly at Worms and captured a hilltop fortress in a strategic location. Then the Frankish king ordered the destruction of the Irminsul, a pillar sacred to the Saxon peoples. We don’t know the Irminsul’s location, what it was made of, and even if there was only one. But one thing is certain: Charles was trying to prove something, just as Saints Boniface and Willibrord did decades ago when they violated pagan sites. The message to the pagans: Our God is stronger than those devils you worship. The Royal Frankish Annals report that the Christians got divine assistance in demolishing the pillar. Because of a drought, the army did not have enough water to stay an extra day or two and complete their work. Suddenly around noon, a stream appeared and the men could finish the destruction and take the shrine’s gold and silver. With that part of the mission accomplished, Charles’s army advanced to the Weser River, where they parleyed with the Saxons and got 12 hostages, sons from important families and a medieval form of insurance. If the vanquished behaved themselves, the hostages were guests. If they reneged on their promises, the hostages could be killed or sold into slavery. But maybe Charles wanted another type of insurance, one with higher stakes than the hostages’ lives. When two parties made an agreement, they swore oaths and invoked the divine, but to Charles, only one deity was valid. So it’s not too much of a stretch to imagine that a Saxon leader was baptized and then made his vow, putting his soul on the line. Threats to body and soul did not keep the peace. The 772 war was only the beginning of what would be a decades-long, bitter struggle with burned churches, forced conversions, mass murder, mass executions, deportation, and other brutality on both sides. This post was originally published Oct. 28, 2014, at Unusual Historicals. From a storyteller’s point of view, actual facts about the Irminsul are not as important as its impact on the characters. And in this case, Leova’s faith is shaken. This was first published on Sept. 18, 2014, at Jester Harley’s Manuscript Page.